Do you struggle to keep your policies, procedures, manuals and registers up-to-date? 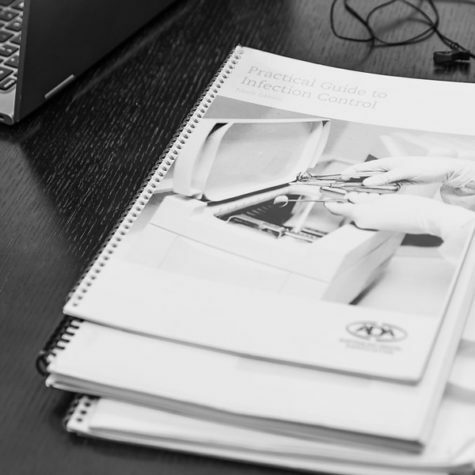 These documents detail the daily functions of your dental clinic, ‘how things are done and why’, and should include your work health and safety and infection control and prevention processes. When documents meet all legislative requirements they provide your practice with transparency, accountability and remove all ambiguity. Roslyn will also work with you to develop any additional content as required, ensuring your documentation meets all current legislation, regulations, standards, Dental Board of Australia requirements and NSQHS Standards. Alignment with current legislation and requirements. Roslyn can suggest improvements and modifications, collaborating with you to reach a finalised version that incorporates her knowledge and experience, while accommodating your own preferences and specific practice needs. To explore the professional advantage Amalgamate can bring to your practice, call 0428 917 700 or send Roslyn a message. "Dr Roslyn Franklin was an enormous help to our specialist periodontal practice in becoming QIP accredited in 2015. I found Ros to be friendly, professional and patient. I am so glad I ask her for help, it was a great business decision. " "I can highly recommend Dr Ros Franklin in the capacity of “expert on accreditation” in making our journey to Accreditation a smooth experience. As a fellow dentist she was able to understand every aspect of the running of a dental office. Her interaction with myself and staff was professional and streamlined."